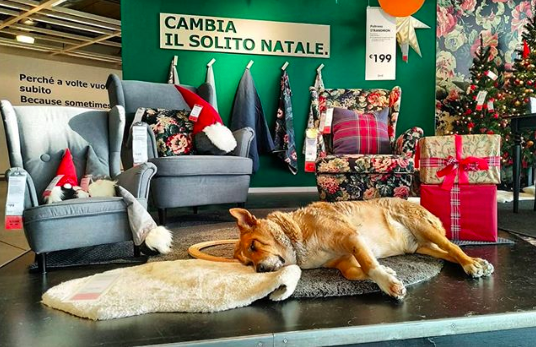 IKEA Lets Strays Sleep In Displays To Escape The Cold & The Photos Are Adorable. 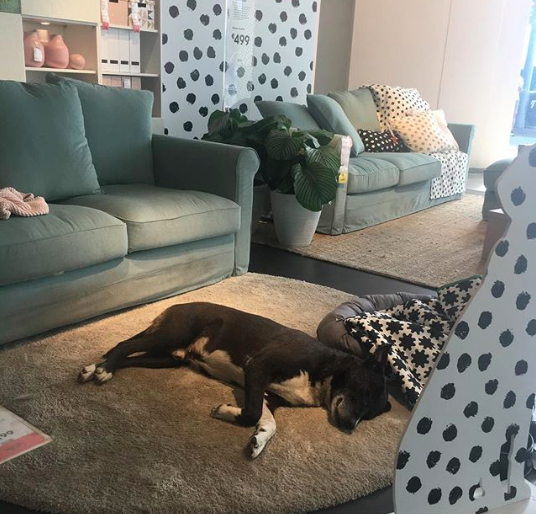 You have to have some imagination when you’re out shopping for furniture, picturing how the displays would look in your own home. 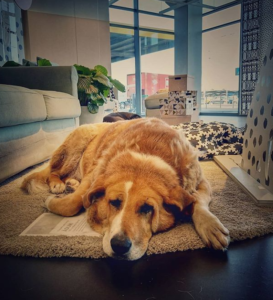 You might even get warm fuzzies envisioning Fido curled up in front of the fireplace on a cold winter’s night. 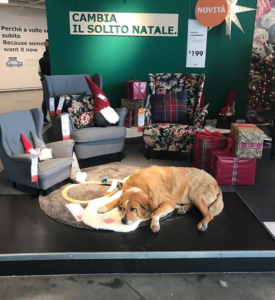 But at an IKEA store in Catania, Italy, that’s not exactly a big stretch of the imagination. 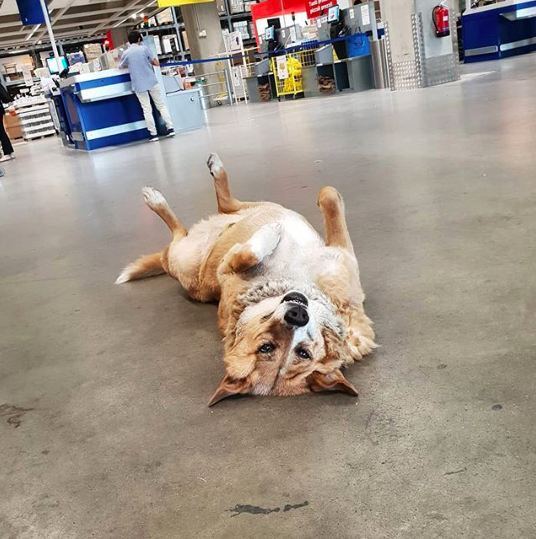 Stray dogs are a widespread problem in this city on the east coast of Sicily, and with temperatures dropping, staff are letting them take shelter in the store! 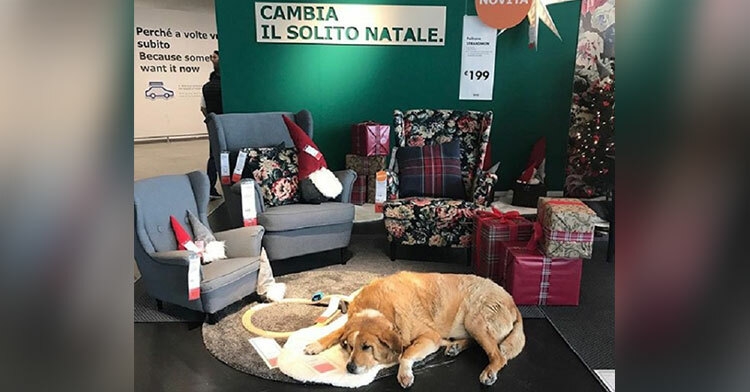 The company has always supported animal issues and welfare, an IKEA spokesperson explained. But employees and customers don’t just welcome, care for, and feed these weary travelers. Some people who just came in to buy a couch or home appliance have found themselves bringing home a new family member as well! 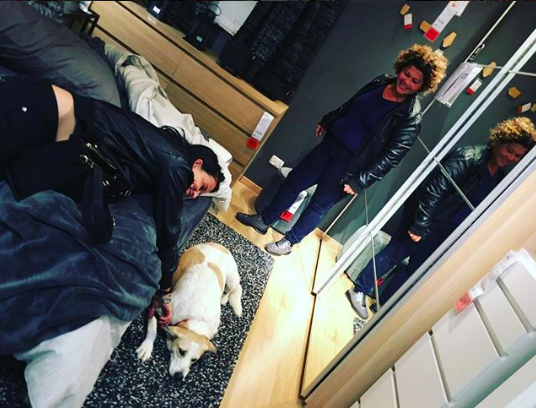 Even if this isn’t a company-wide policy, this particular IKEA deserves a big shout out for implementing such a sweet and humane gesture. We definitely hope this story inspires other stores to do the same. Share to spread thanks and spread the word about this adorable initiative! Guys Invite Elderly Woman To Eat With Them & Her Story Touches Their Hearts. 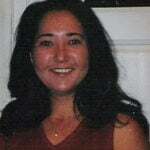 The Promise Every Mom Perfectionist Should Make To Themselves. Woman’s Cat Hates Her Singing & Has Hilarious Way Of Making It Stop.